They change color depending on their mood. They possess uniquely adapted hands and feet distinct from other tetrapods. They feature independently movable eyes. 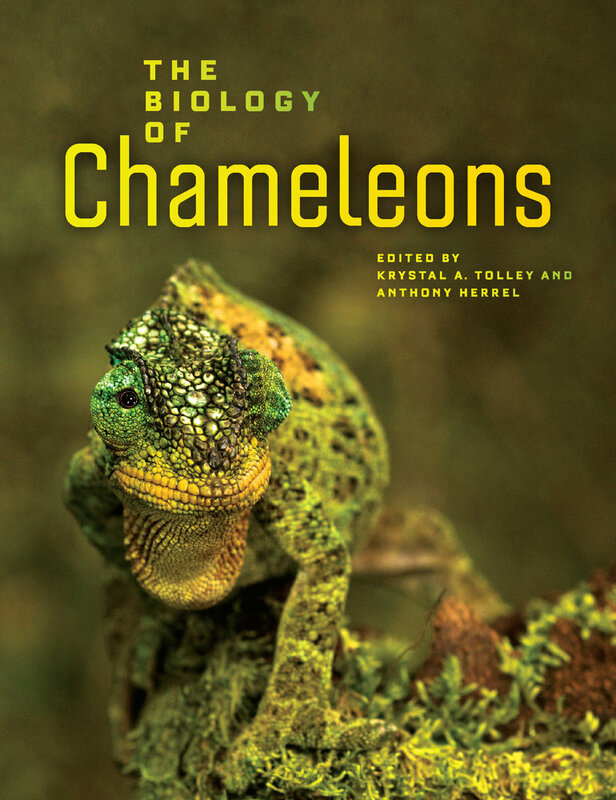 This comprehensive volume delves into these fascinating details and thorough research about one of the most charismatic families of reptiles—Chameleonidae. 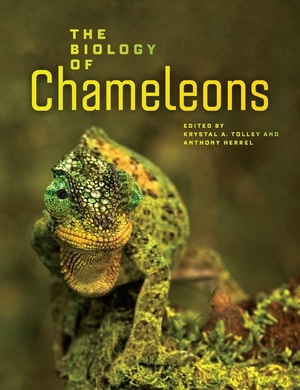 Written for professional herpetologists, scholars, researchers, and students, this book takes readers on a voyage across time to discover everything that is known about chameleon biology: anatomy, physiology, adaptations, ecology, behavior, biogeography, phylogeny, classification, and conservation. A description of the natural history of chameleons is given, along with the fossil record and typical characteristics of each genus. The state of chameleons in the modern world is also depicted, complete with new information on the most serious threats to these remarkable reptiles. Krystal A. Tolley is Principal Scientist, Molecular Ecology Program in Applied Biodiversity Research of the South African National Biodiversity Institute. Her research focuses on understanding the historical processes that generate patterns of diversity and lead to species radiations of reptiles and amphibians in southern Africa. Anthony Herrel is a permanent researcher at the Centre Nationale de la Recherche Scientifique (CNRS) and the head of the Function and Evolution team of the Unite Mixed de Recherche (UMR) 7179, based at the Museum national d’Histoire naturelle in Paris.